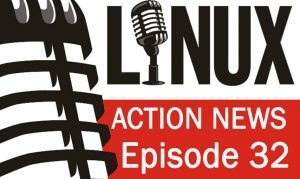 Mozilla violates users’ trust, Amazon has a new Linux, OpenSSH is coming to Windows & Intel blocks disabling of the Management Engine. Plus an update on the Conservancy’s fight with the Software Freedom Law Center & more. Introducing Amazon Linux 2 — Amazon Linux 2 provides a modern execution environment with LTS Kernel (4.9) tuned for optimal performance on Amazon Web Services (AWS), systemd support, and newer tooling (gcc 7.2.1, glibc 2.25, binutils 2.27). Amazon Linux 2 Benchmarks — With Amazon AWS this week having released Amazon Linux 2 LTS I was excited to put this updated cloud-focused operating system through some performance tests to see how it stacks up with the more well known Linux distributions. OpenSSH coming to Windows 10 — The software giant is now adding a native OpenSSH client to Windows 10. It’s available immediately as a beta option in the Fall Creators Update for Windows 10, and it’s easy to enable. Not just the client — we also shipped OpenSSH’s sshd server, but it’s a little tricky to configure right now. Expect a blog post this week. * This is not production-ready in the current version of Windows 10 (hence the “(Beta)” in the label), but we hope to be soon. Mozilla faces blowback after slipping Mr Robot plugin into Firefox — Firefox users noticed a strange new plug-in popping up in their browsers. A new plug-in called Looking Glass found its way into each instance of the new Firefox Quantum browser. It was disabled by default, but users were still alarmed to see a plugin they hadn’t installed. Intel to slap hardware lock on Management Engine code to thwart downgrade attacks — From version 12 onward, ME-equipped chips will defend against patch rollbacks. Conservancy update on fight with Law Center — Today, Conservancy filed for summary judgment in SFLC’s trademark cancellation action. As I understand from our lawyers, summary judgment is a mechanism to ask a Court to expediently handle a matter where the facts are straightforward and, as a matter of law, there is no plausible way that the party filing for summary judgment won’t prevail. TechSNAP reboot — Systems, Network, and Administration Podcast. Every week TechSNAP covers the stories that impact those of us in the tech industry, and all of us that follow it. Every episode we dedicate a portion of the show to answer audience questions, discuss best practices, and solving your problems.